Celebrating 10 years of championed house music, Tube & Berger’s Kittball imprint is constantly appearing in the Beatport top charts for their dazzling dance beats. 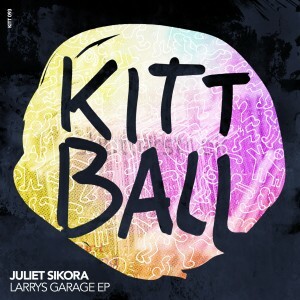 Juliet Sikora’s debut solo EP is no exception, providing the perfect dancefloor vibes for any occasion. First up is summer anthem “Larry’s Garage,” a tribute to NYC’s Larry Levan and the infamous Paradise Garage. Jackin house beats and funky chords that provide the groundwork for captivating samples of a preaching female voice and a cheering crowd. Props to Sikora for sneaking in a sample from Deee-Lite’s “Groove is in the Heart.” The B-side includes “Tender Trip,” a sonic gesture to the 90s underground rave scene, drenched in acid loops and emotive chords that drive the track. The title for this release is somewhat ironic as Quell delivers aural gems that will surely make all human audiences gravitate towards his distinct sound. First up is title track “Go Away, Humans!” a brilliantly constructed dancefloor knockout that will have everyone up on their feet, even the most jaded of club goers. 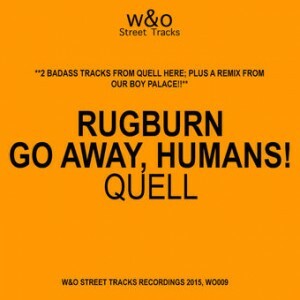 The defining beefy basslines run down the spine of the track, and are enhanced with crispy percussion, visceral synth chords and an emotive vocal sample echoing, “Don’t you know I need you love?” Quell keeps the bar raised with the B-side “Rugburn,” with more bone-rattling basslines to steady the track topped with dramatic synths and chopped vocal clips that will keep the dancefloor full of bodies. 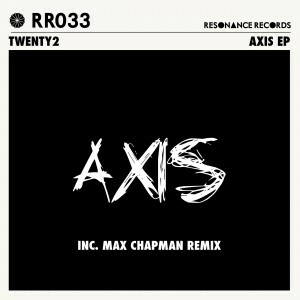 Leeds-based duo Twenty2 is making a statement with their debut release on Resonance Records. These cats (known individually as dub.c and SecondSelf) create distinctly big sounds that are geared towards a packed peak hour crowd. “Games Master” is a pumped up dance track with a grooving bassline, pointed percussion and a hypnotic sample repeating “Goes like this.” Title track “Axis” turns it up a notch with crunchy claps, penetrative basslines, dub accents in all the right places, emotional string build-up and crafty sampling of Erykah Badu’s “On & On” that elevates the track’s appeal. Continuing with a trend of bombastic bass, “Hotline” is up next with clips of a telephone ringing, colossal synths that will swallow your eardrums, and vocals that play to the phone theme chanting, “Hello?” and “Ohhh Baby.” Oh, baby is right. Rounding out the stellar EP is Max Chapman’s warehouse-ready remix of “Game Master,” adding percussive nuances that change the dynamics of the song. 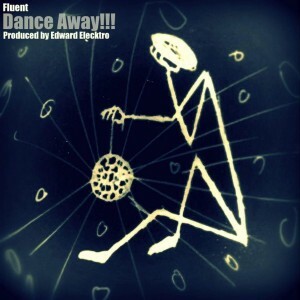 Detroit’s Joel Fluent Greene and Edward Elektro deliver a hybridized track with “Dance Away!! !” combining elements of hip-hop, techno and electro. Edward Elektro’s chronic arpeggiated chords provide the funky foundation of the track with additives of sharp hi-hats and lyrical prowess by Joel Fluent Greene. Listeners will dance away the day when they hear this tune.